This page provides the online courses currently available from HUD’s Office of Housing Counseling. Click the title of the module you want to access and click Go to Training. If you need to create an account, Click Create an Account. Fill out the form, and click the Create Account button. For the Organization Information, if you are not affiliated with a HUD program, choose Other Organization and enter your Organization Name and Organization Type (e.g., Due Diligence Provider, Lender, Multifamily Property Owner). These trainings are optimized for viewing on a desktop using the latest versions of Chrome, FireFox, and Internet Explorer. Internet Explorer is recommended for an optimized Section 508 accessibility experience. The trainings will function on mobile browsers, but some functionality may not available. Note: The information and guidance provided in these trainings are intended to assist programs participants. 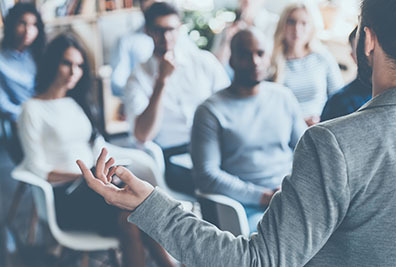 These trainings do not supplant or supersede OHC Housing Counseling Program (HCP) requirements including but not limited to Section 106 of the HUD Act of 1968, 24 CFR Part 214, 2 CFR Part 200, HCP NOFAs, HCP Notices, or NOFA Grant Agreements. This training is designed to provide an overview of HUD’s housing counseling program. By the end of this training, participants will be able to define housing counseling, and describe the benefits of participating in HUD’s housing counseling program, and explain how to participate in the program. Part 1 - Requirements: Part 1 is designed to provide housing counseling agencies with an overview of the requirements and services delivery. By the end of this training, participants will be able to describe the basic types and topics of housing counseling and review HUD requirements for providing housing counseling services. Part 2 - Recordkeeping: Part 2 is designed to provide housing counseling agencies with recordkeeping requirements for topics covered under Part 1. By the end of this training, participants will be able to define the key recordkeeping requirements for housing counseling programs, define the role of intermediaries oversight agencies as it pertains to housing counseling services and recordkeeping, and apply key elements of the program using real-world examples. These trainings are intended to be taken sequentially; agencies should take part 1 prior to part 2. This training is designed primarily for intermediary monitoring staff to understand the requirements and best practices related to monitoring a network of housing counseling agencies.